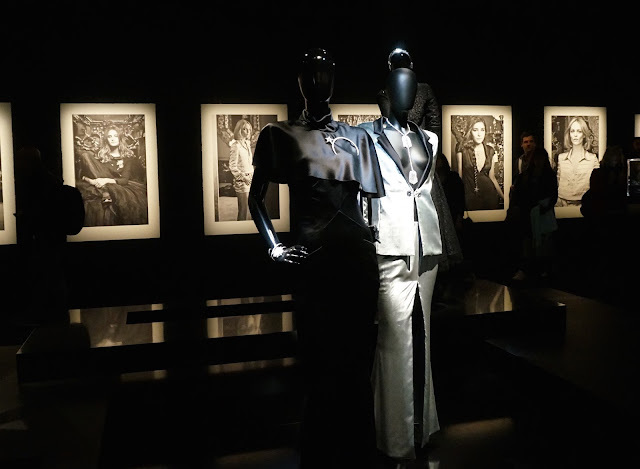 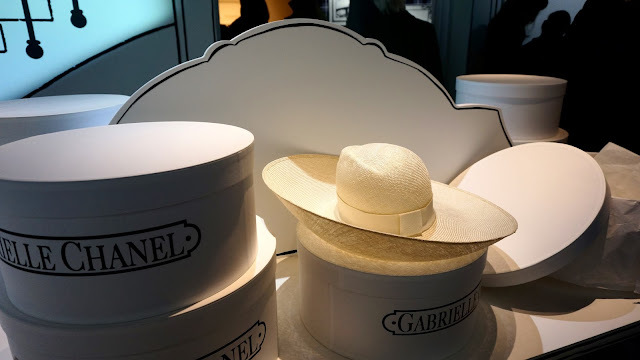 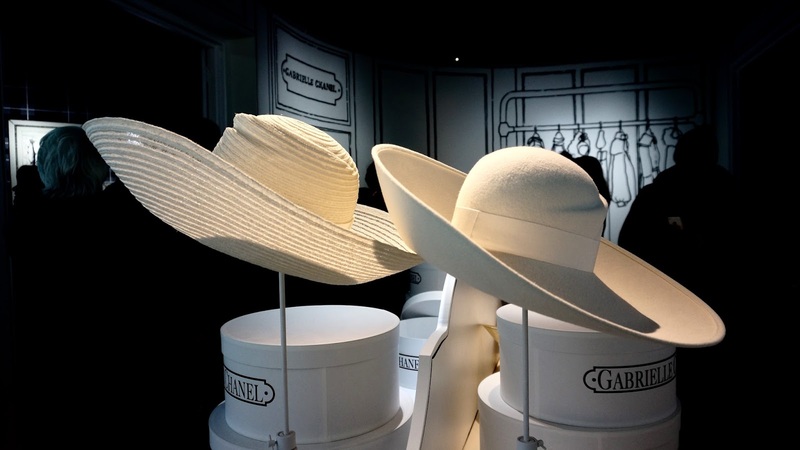 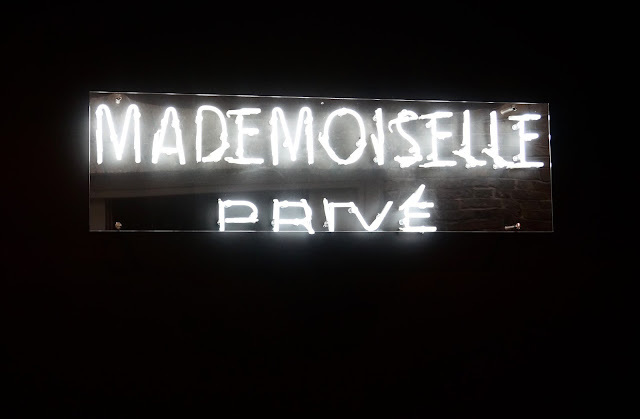 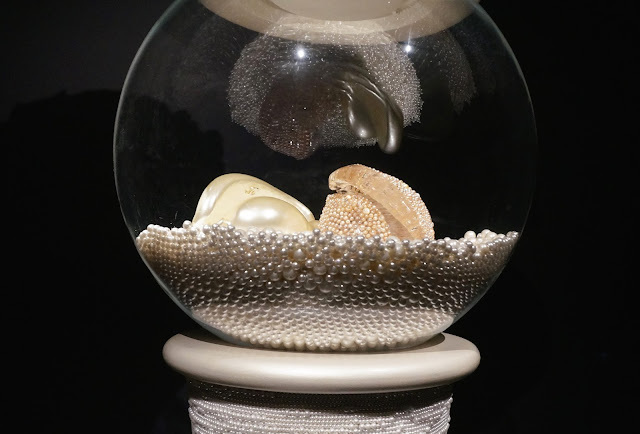 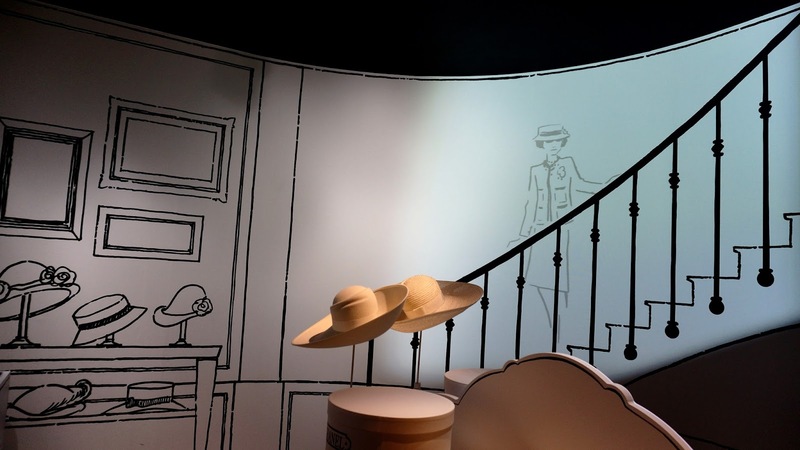 Upon entering the Mademoiselle Privé exhibition I was met with several Chanel hat creations on display that were so immaculate and elegant in every way possible. 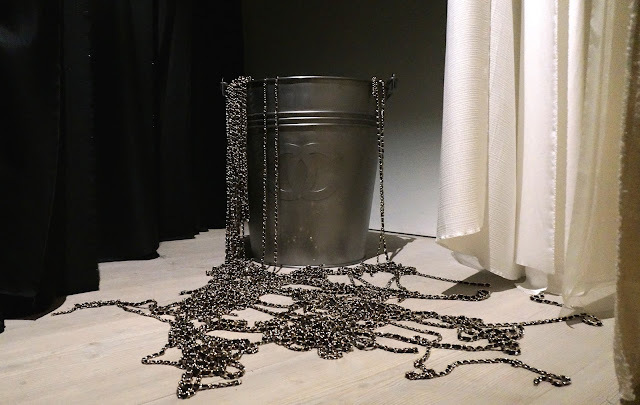 A Chanel bucket overflowing with Chanel chain shoulder straps...quite literally. 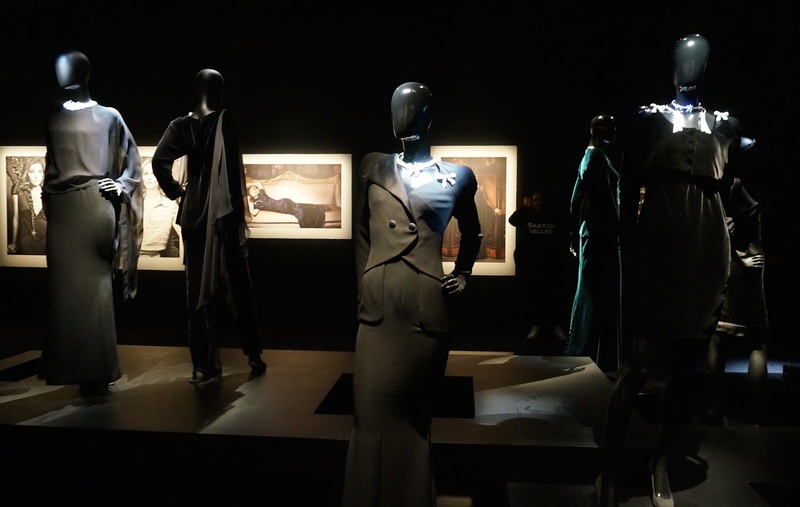 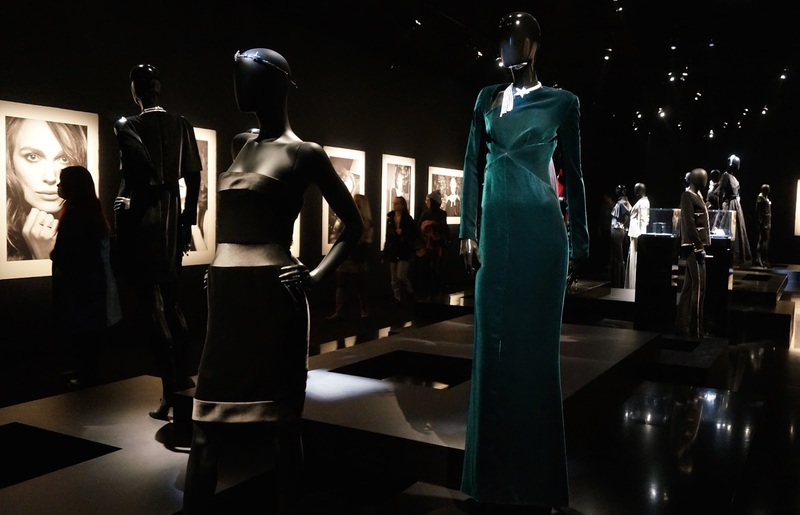 A snapshot of some of the many amazing evening couture pieces on display at the exhibition. 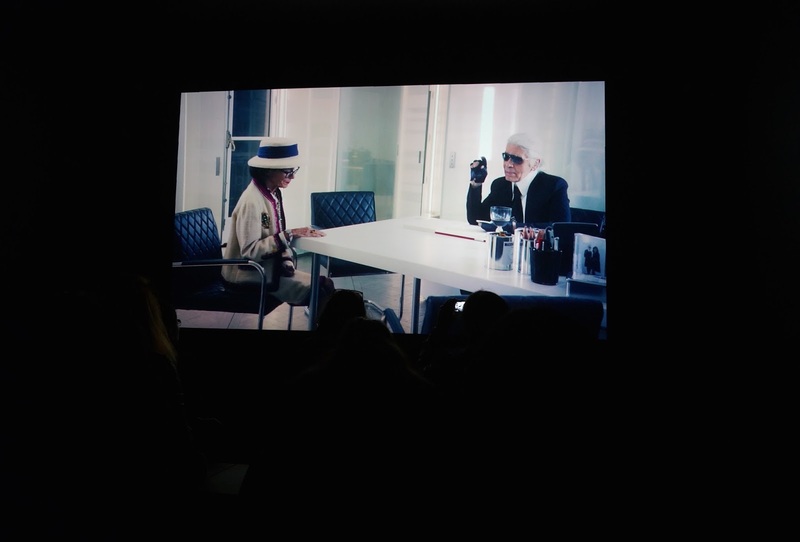 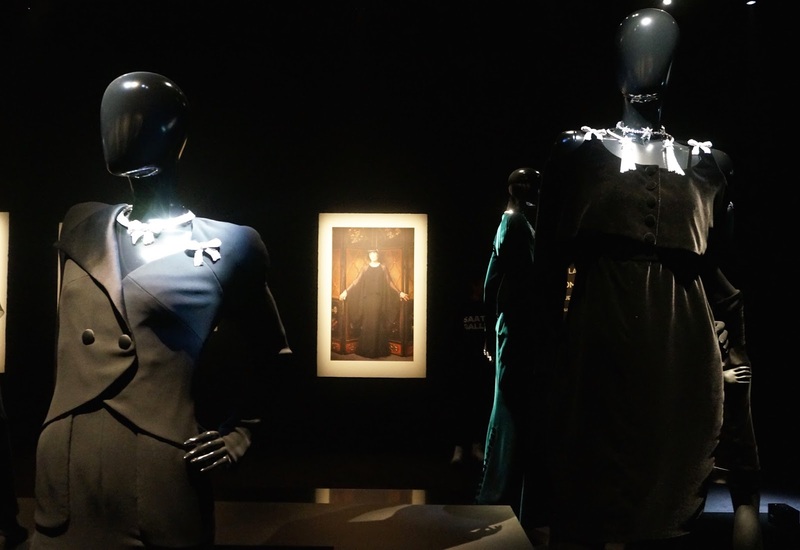 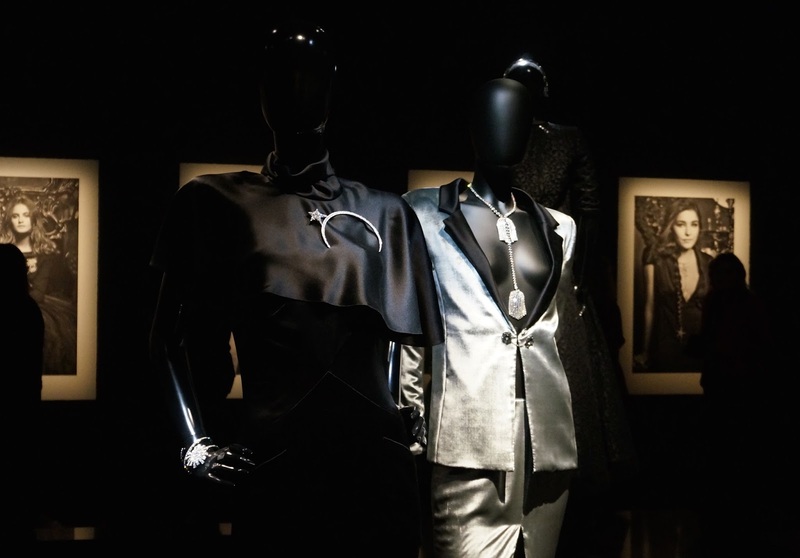 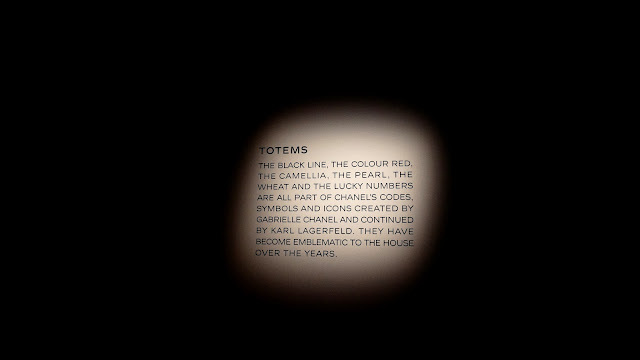 A snapshot of the movie featuring Karl Lagerfield on show at the Mademoiselle Privé exhibition. 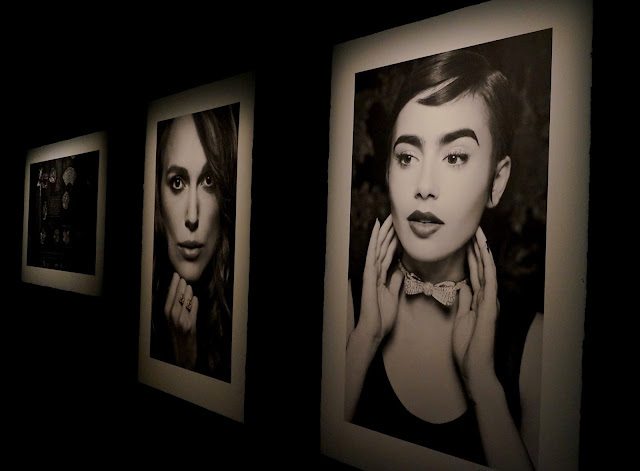 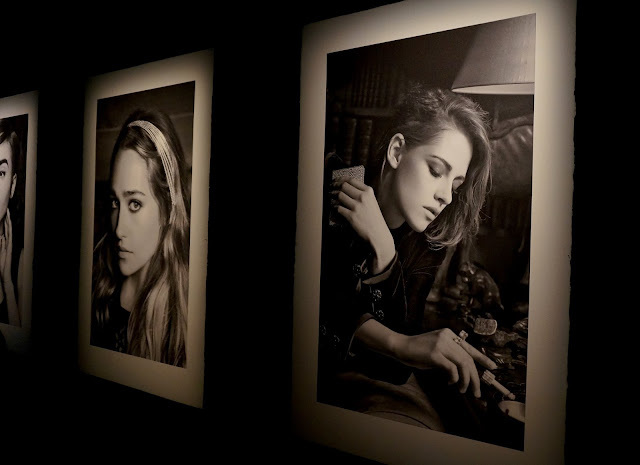 Some of the many celebrity portraits on display which depict them adorning Chanel pieces. 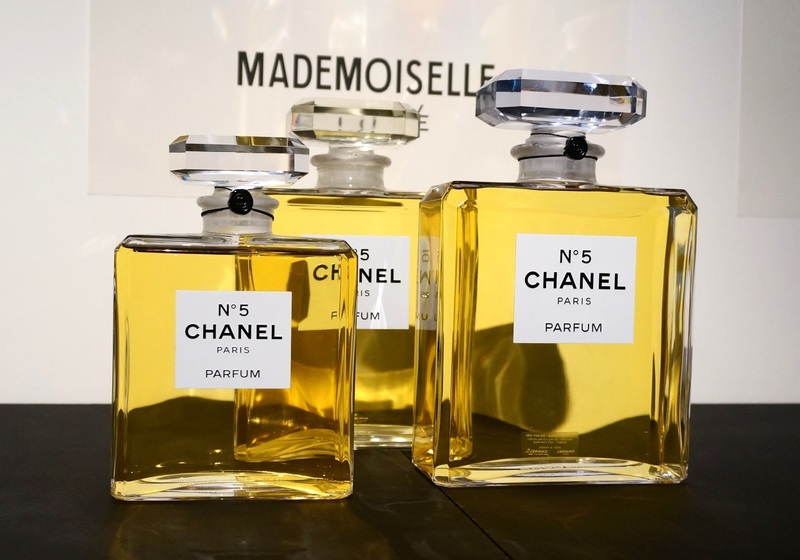 Jumbo Chanel No.5 perfume bottles on display in the perfume workshop. 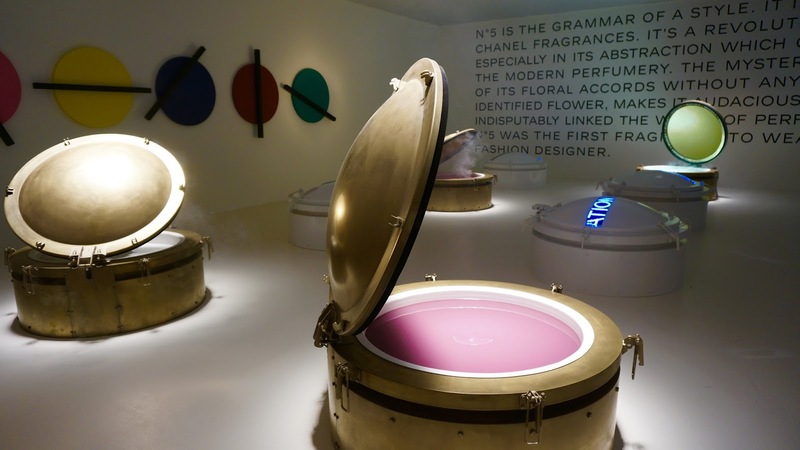 A room full of giant metal pots of Perfumery ingredients actively swirling around to the delight of many including myself. I hope you enjoyed viewing my photographs from the Mademoiselle Privé exhibition by Chanel at the Saatchi Gallery in London which is currently running till the 1st Nov. 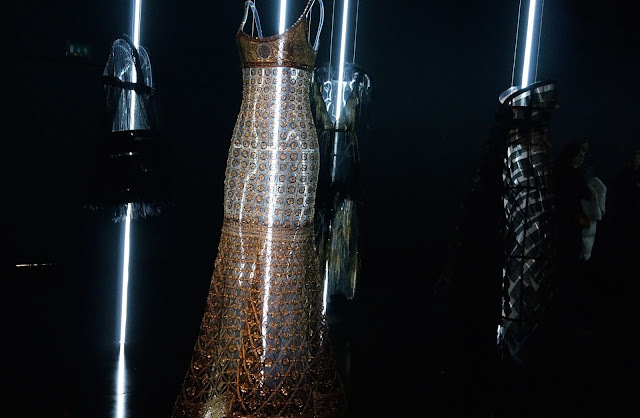 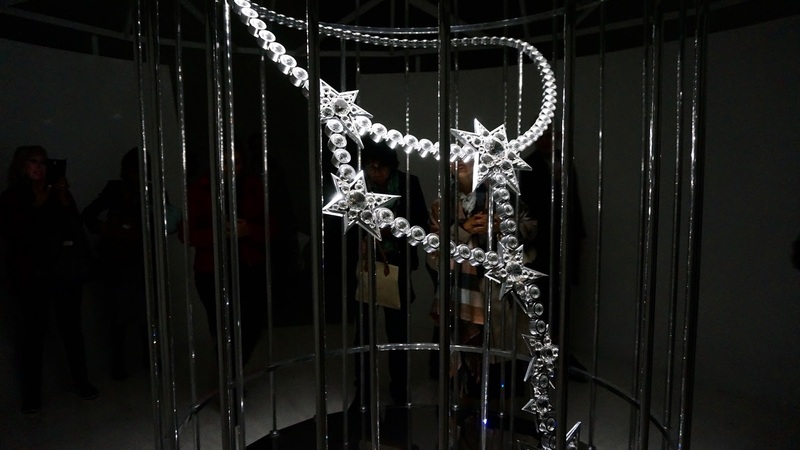 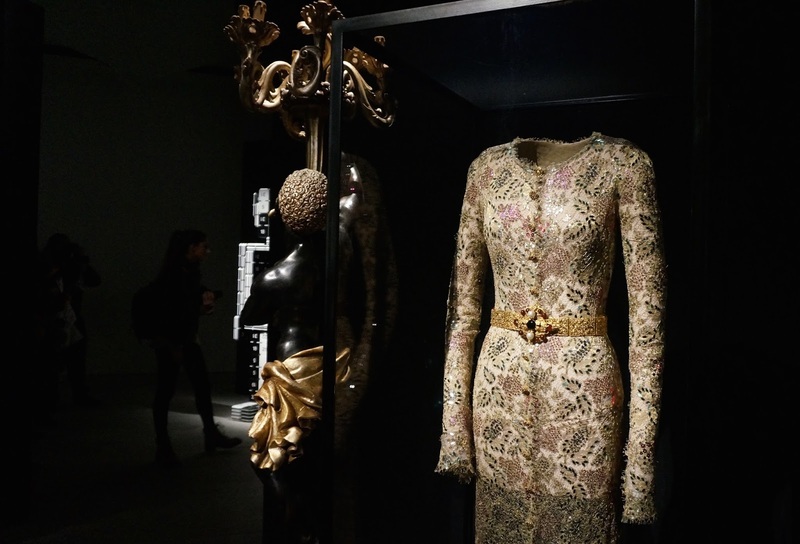 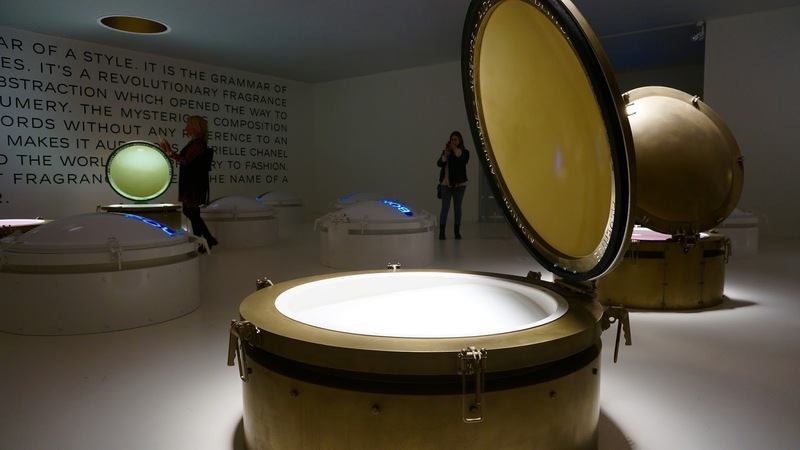 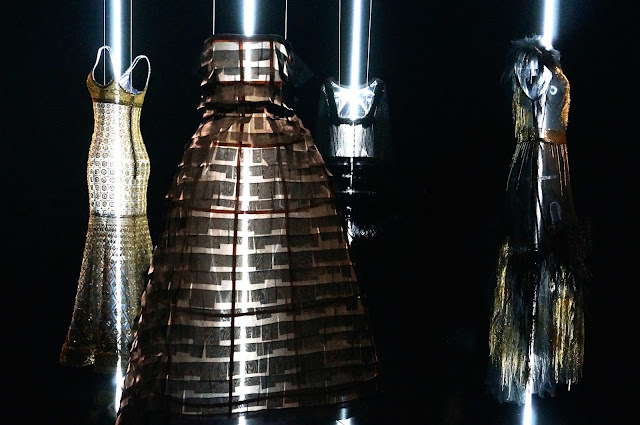 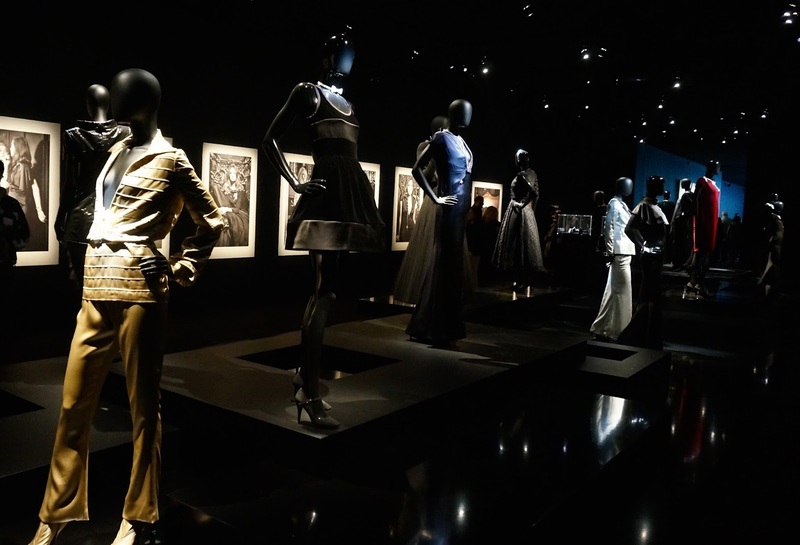 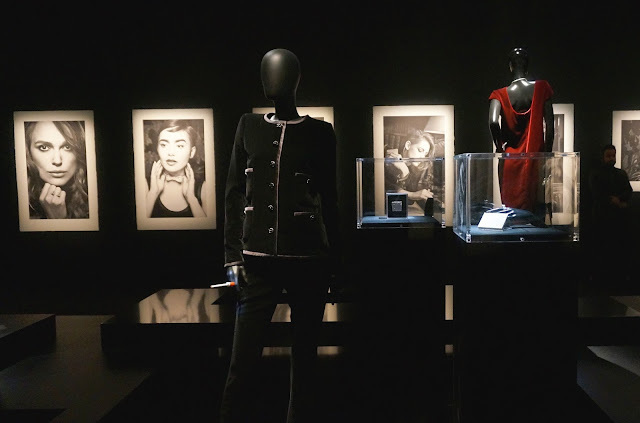 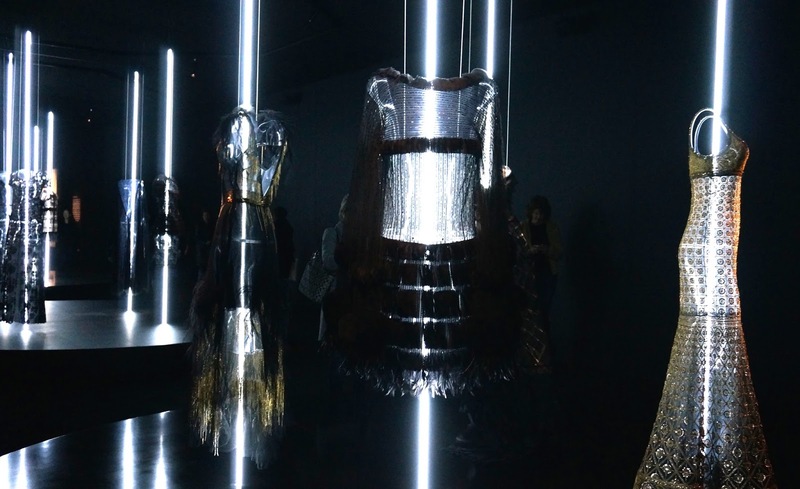 The exhibition for me was a beautiful experience stepping into the world of Chanel and a small glimpse into her life. 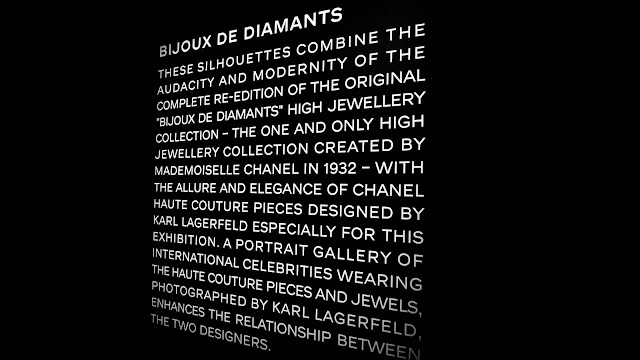 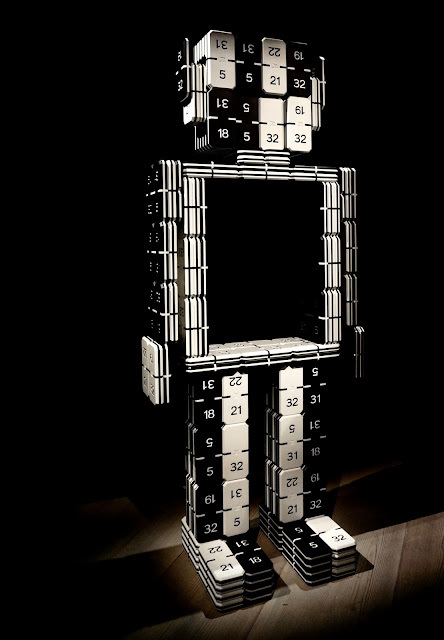 It was also a way to see how the brand has evolved over the years under the creative direction Karl Lagerfield. 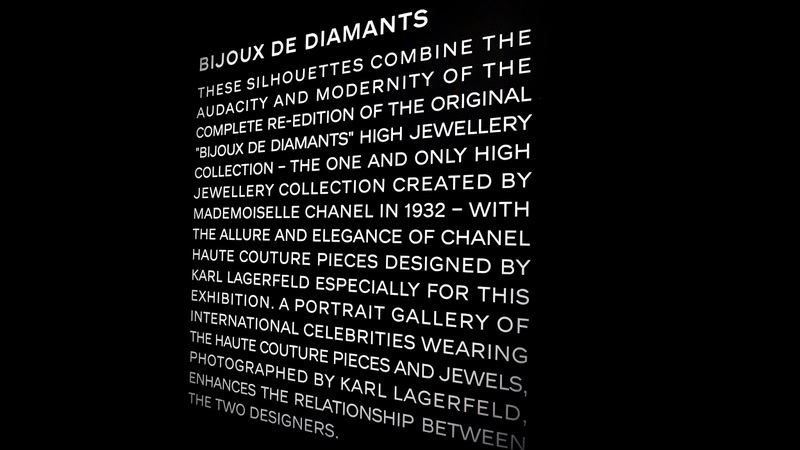 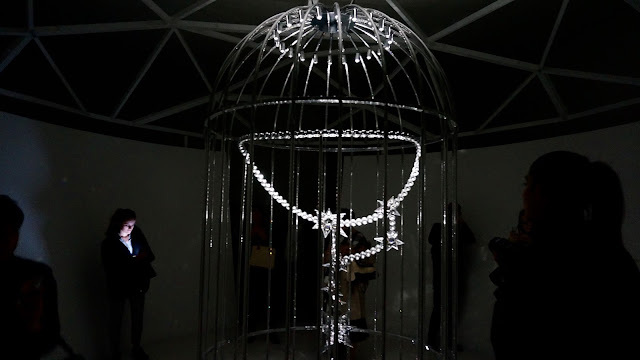 I was completely enthralled and mesmerised by the beautiful displays and quite frankly the entire exhibition. 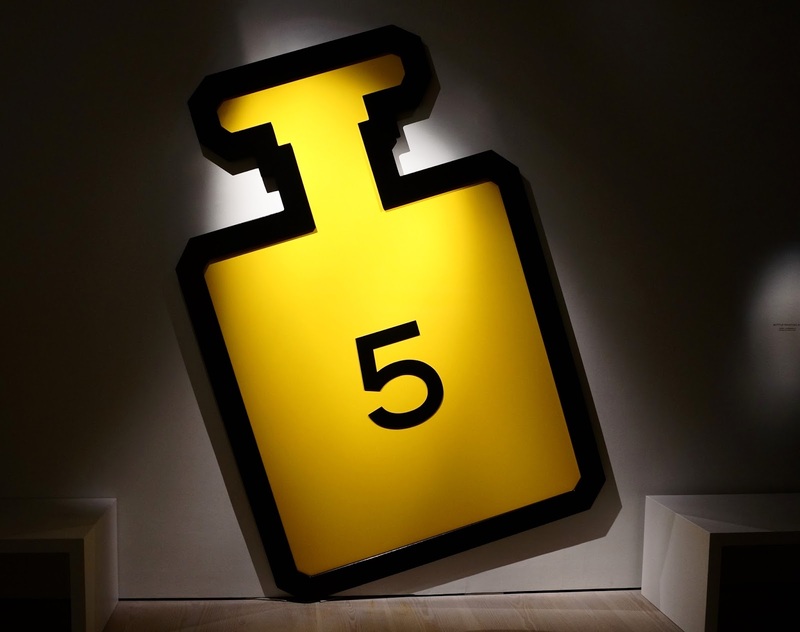 I would definitely recommend you all to take a trip down to the Saatchi gallery if you're in London and to await the surprise that awaits in the perfumery section of the exhibition. 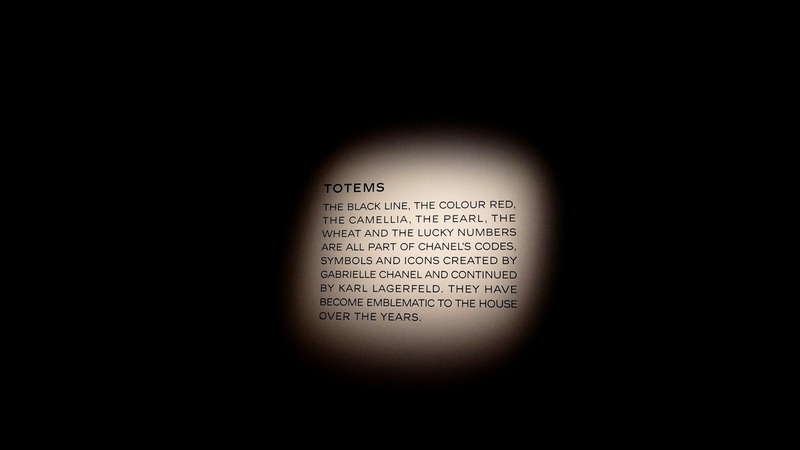 All images included in this post have been taken by myself.